Before I left town3 I telephoned the office asking them to order the daily N.Y. World4 (not Sunday) sent to me here until Sept 1st. It came for one week and then stopped. Please start it up again. Tell Mr. Stimson5 I will start the proofs6 to him7 by the middle of next week. I’m half through them8. 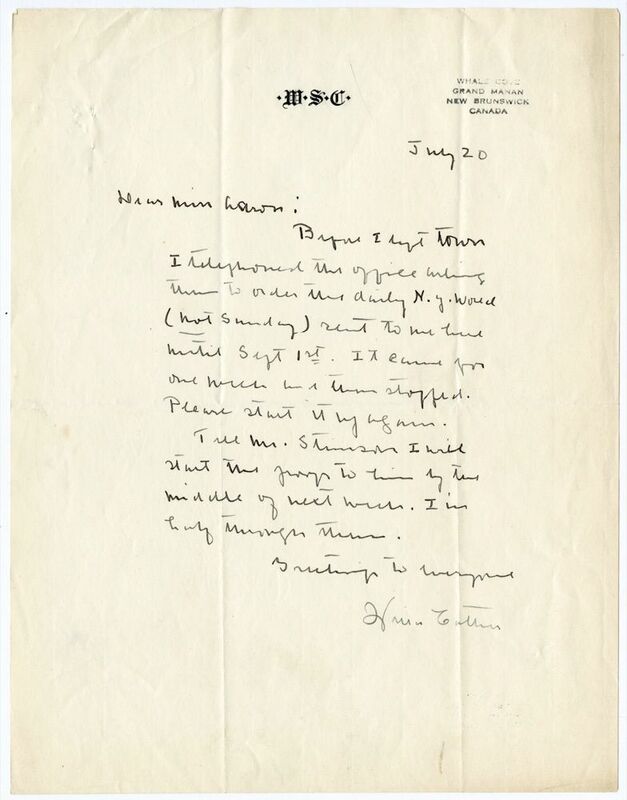 The year of this letter is established by Manley Aaron's response to it dated August 9, 1929. She wrote to Stimson on 22 July 1929 about the proofs (#2599).